Holiday season is officially here with all the necessary decorations, exciting preparations and gift hunting. And while Santa Claus is working on my extended wish list this year, I started to gather ideas on how to make myself look special during this festive time. One of the hardest parts of the Christmas outfit is actually the hair. You want it to look outstanding, that’s why before you go to your hairdresser, it is always better to have a proper idea in mind. I always come prepared and send pictures with the look that I want to achieve to my stylist in advance. This saves a lot of time, energy and nerves, especially before important events. So, here is my list of the coolest 11 Christmas party hairstyle ideas, which will be perfect for New Years parties as well. I have also added video tutorials of these hairdos, which I found on YouTube, just in case you want to try and do it yourself. And if after browsing all these hairstyles you will still feel like it’s not enough, check out my list of other 10 hairdos here. This hairstyle is very elegant and feminine. This hairdo will be perfect for your family get together or even the upscale white tie Charity event. Braided hairstyles are still one of my favorite. You can never go wrong with such hairdo. 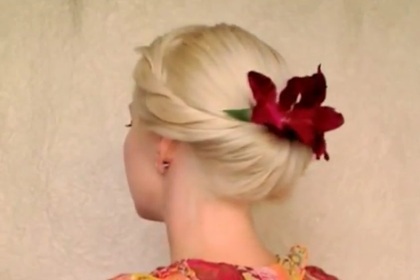 You can wear it like a french fishtail braid or can gather all your hair in a neat updo. Either way this look is very feminine and stylish. The only important thing to remember is that the braid should be done very neatly and professionally. I won’t trust myself to make such hairstyle on my own. This is the other example of braided hairdo which will be ideal for any party. 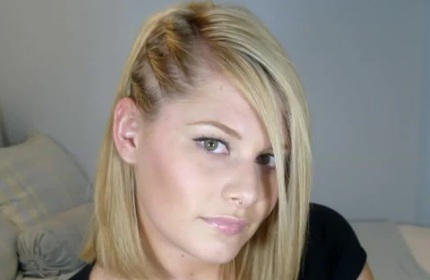 With this hairstyle you definitely won’t be bothered with your hair being all over the place. This hairstyle is classy and elegant and although it looks like you’ve spent a lot of time on it, in reality is a very easy and fast option. I love this side bun hairstyle. A lot of different celebrities such as Natalie Portman, Nicole Kidman, Scarlett Johansson to name a few have chosen this particular hairdo for various red carpet events and I can see why. If you want to add a little bit of edge to your classical bun hairstyle, I think you can use the idea shown in the following tutorial. Although I personally have long hair and that is why all previous hairstyle ideas were ideal for long or medium hair, I also have a lot of friends, who have short hair. So, I decided to add a couple ideas for girls with short hair. Actually, it was very hard to find something interesting. I loved this edgy hairstyle for short hair. It will be perfect for New Years party in a club or any celebration with your friends. 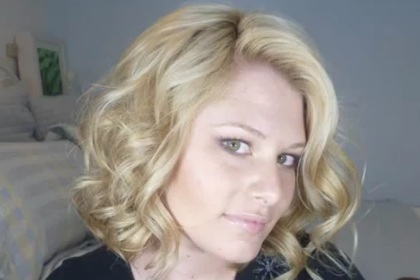 This is very romantic and flirty hairdo for short hair. I love the curls! This Kim Kardashian inspired ribbon braids hairdo is one more reminder of Christmas gifts and decorations. 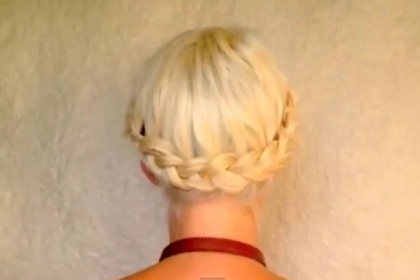 And if you are so over sweet and elegant hairstyles, here is a funky one. You will look like a rock star at any Christmas or New Years party you choose to attend. I think that this hairstyle will look amazing with sequined dress or even leather one. And if you are looking for a great gift for your loved ones this Holiday season, check out our Ultimate Christmas Gift Guide. We have been working hard to find the most amazing presents for everyone in your family, including pets. What do you think, girls? Is there any Christmas party hairstyle ideas which you like? Maybe you have other cool ideas? Please share your thoughts in the comments below! Happy Holiday Season, Rich Girls! Subscribe to Rich Girl’s Club via email or RSS to get more great posts like this one.